The flavor of each component on here is full of bold flavors and the presentation, brings it all together into a show stopper dish. 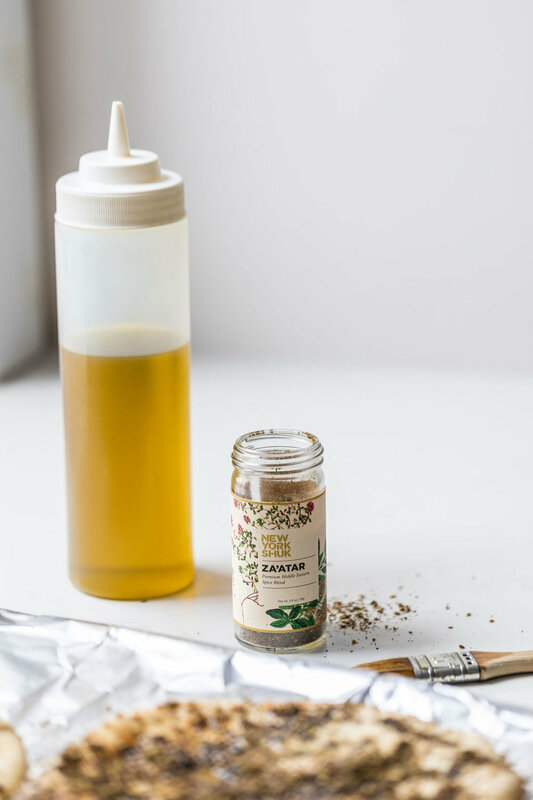 I try to stock our freezer with bread, pita’s or both as when we have to whip something up for an impromptu breakfast/brunch/lunch/dinner l like to be able to make these addictive za’atar pita chips. If you into roasting your own peppers, great. When I find red bell peppers in a sane price I do the same, but unfortunately that has become an exception. I came across a variety of qualities when searching for store bought fire roasted bell peppers. They need to have that sweetness to them with no bitterness. Traders joes has 2 options and both of them are really good. And definitely worth stocking your pantry with them. Drain the pepperes, and slice into thin strips. For one jar (220g/7.75oz) I would Season with 1 tablespoon of olive oil and 1 tablespoon of preserved lemon paste. And if i'm in a garlicky mood i'll mince half a clove and mix it in with the rest of the ingredients. At this stage, you should taste and adjust the seasoning as you like it. 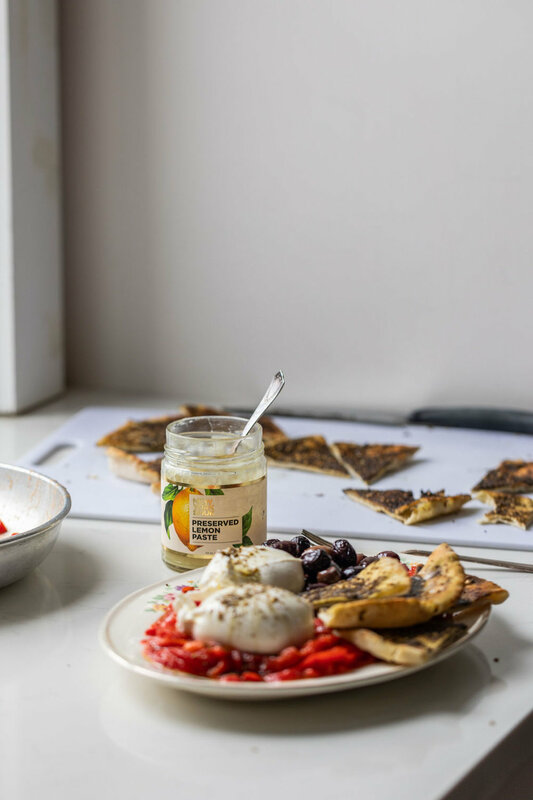 On a serving plate, place the roasted pepper salad add a whole burrata or sliced mozzarella on one side, a handful of olives on the other side and pile on the pita chips. Drizzle olive oil and finish with a sprinkling of za’atar on the burrata.